Rumours have been circulating regarding Sony working on an experimental Smartwatch which uses e-paper as display and e-paper is the same technology used on e-reader screens. Sony has developed this new entry as part of an initiative to experiment with the use of the material for fashion products. According to Wall Street Journal, the FES Watch, an e-paper watch which appeared online somewhere in September is an offshoot of the Playstation maker and it is said that Sony has kept its involvement a secret to gauge public view instead has used the name Fashion Entertainments to move the product ahead. However, the video is in Japanese but the style of the FES watch is not deniable. 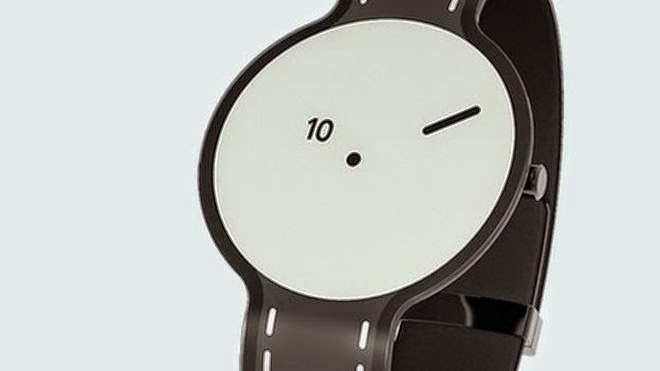 The prominent feature of the watch beside the use of e-paper is that of the animation which is not just limited to the screen but the whole strap can be customised. The tech in the watch is minimal with no real features to talk about rather than telling the time resulting in a battery life which could last up to two months on a single charge. Gadget expert, Stuart Miles from Pocket lint has described the latest device as `retro and cool’. He states that `one of his predictions for the next year is that fashion is going to play a huge part in shaping the tech industry and having a phone which is big and square is one thing but if it is actually worn, it needs to look good’. Compared to the technology used in e-book readers like the amazon’s Kindle, the watch face as well as the straps has an e-paper display which means that the watch can change between various different styles of watch face and strap design. Sony has kept the development of the watch very low and has opted in using a spin-off division known as Fashion Entertainment to work on the device. According to Wall Street Journal it was reported that to fund the watch’s creation, Fashion Entertainment organised a crowd funding campaign and raised around 3.5 million yen. An anonymous reported informed the newspaper that `they had hidden Sony’s name since they wanted to test the real value of the product and whether there would be demand for the concept’, while a spokeswomen for Sony also confirmed to BBC that Fashion Entertainment is a division of the company’s New Business Creation department and are striving to work on various e-paper prototypes. Other projects which Fashion Entertainments have worked on e-paper include bow-ties, shoes and glass though the only drawback of using e-paper instead of, for instance liquid crystal displays – LCD which is a limitation on possible features due to the limitations of what e-paper could display. However Mr. Miles states that he did not envision it being so significant a drawback for e-paper technology wearable. He further adds that on looking at traditional watches presently, they only tell the time and the people are happy with it, bringing about awareness that one of the popular smartwatches available in the market, like the Pebble, uses e-paper. The release of the FES Watch has not been provided by Sony yet.